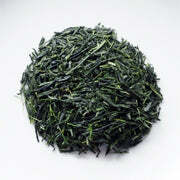 The first infusion of this fine Japanese green tea offers a light green colored liquid that is very refreshing. The outstanding taste is a combination of sweet, spicy and floral hints, with no bitterness at all. The flavor becomes a little stronger as the tea cools which results in a most pleasant aftertaste that lingers on the palate. 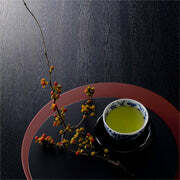 The second infusion has a slightly yellow color tone, while the taste adds a mild earthiness. Highly recommended. 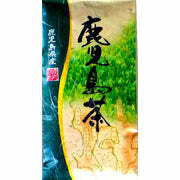 Premium Organic Sencha has been produced according to the strict guidelines of the JAS (Japan Agricultural Standard) and is certified organic.